The time of the year when the reality of winter finally kicks in and you ask yourself why you chose to go to college in northern Indiana. 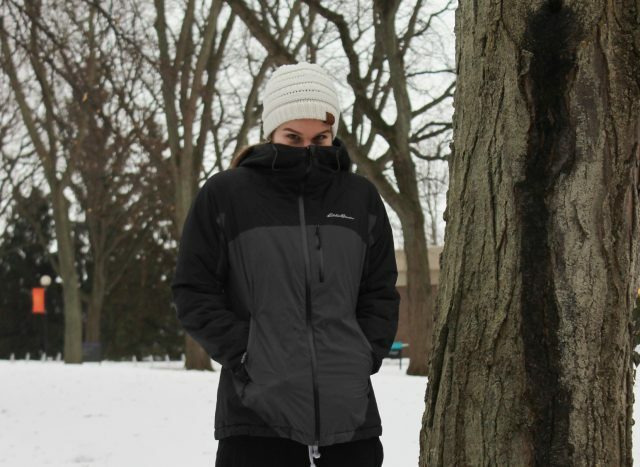 When the excitement of new college experiences has mostly worn off for you first-years, but you’re still experiencing your first Goshen winter (that is, if you’re not from here. The townies know what to expect.). When your glasses fog up every time you walk into a building, because being out and about at 9 a.m. isn’t bad enough already. When you look at the forecast in the morning and a high of 20 degrees is a victory. The relief of May Term feels years away and so does last September. We are floating through space and time, like the specks of dust on your textbooks—because I know you haven’t been studying nearly as much as you should be. It feels as if we are suspended in the ice that melts and refreezes on the sidewalks. Slushy. Gray. Bound to cause accidents. We are constantly present and yet constantly fading, much like fear-fueled motivation to study. Hold tight, my friends. Spring is on the way.